Twitter helps companies build their brand by introducing a new method of audience communication. Engaging, brief messages build interest and customer loyalty. In 140 characters or less, a company can inform their audience of their latest products or trivia knowledge. Any useful information will propel companies towards this goal. Companies can write Tweets that are automatically posted three to five times per day. Experts recommend frequency to keep customers interested. From a single article, companies can probably extract 10 or more tweets that represent the main points of the article. Only 25 to 30 minutes a week is required to generate daily Tweets for an entire week. Successful companies engage in a concept called mutual branding. This concept engages both employees and the company on a mutual page. The employee’s photograph and the corporate logo both exist on the page. The better the employee performs, the better the company looks. Retweets and feeds will provide more exposure and reach a broader audience. Many people will subscribe to hundreds of feeds in their Twitter reader. The reader will share the articles that are relevant to the product or service they are trying to promote. For quick perusal, the user may scan the titles and determine which articles are most relevant. Customers or followers interested in you or your company will read the posted articles and your company will gain more exposure. 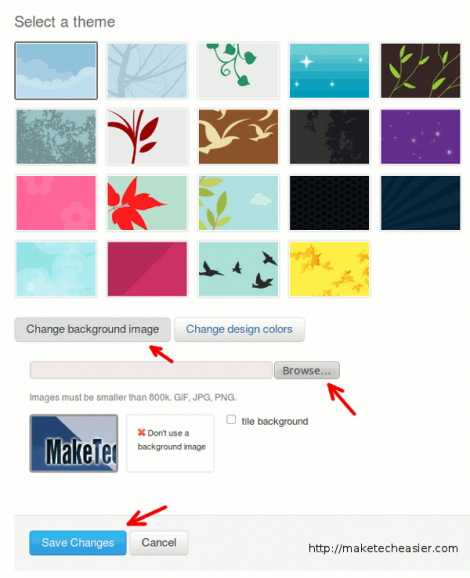 Twitter has numerous free backgrounds at Twitrbackgrounds.com to select from. Colors may be changed in addition to fonts to make the background more appealing. Customize the application by adding repeating photographs to the Twitter page. A company logo or a photograph may help to establish a brand image that is recognizable and evokes emotions without words. Ensure that your Twitter bio is congruent with your online branding profile. When people can easily connect the bio to the brand image, customers will begin to recognize the principles that your company is built upon. Brand the company to demonstrate its capabilities, passions and expertise. Convey to the customer why they should get excited by your company or product. Write clever tweets that people will remember. Clever tweets are akin to a compelling marketing slogan. Clients will remember a clever tweet that summarizes the brand of the company. This may relate to service, ethical practices or countless other attributes of the product or service. Companies are encouraged to link to websites and pages that incorporate the interests of the company or person. Use business cards, websites and blogs to refer people to your website. Encourage them to read more about your tweets as they relate to your product or service. The more exposure that your brand receives, the more successful your company or image will become. 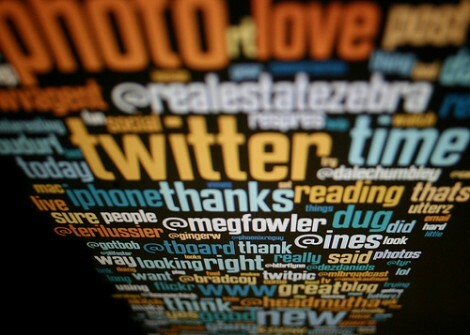 Companies or people that use Twitter to network may quickly establish a rapport with a person in 140 characters or less. Twitter provides opportunities to meet people that you would not normally have access to. As such, Twitter is an effective networking and marketing tool. Twitter may also be used as a customer service tool to communicate with clients that want to share complaints or praise. Twitter is an effective tool to build your brand image. Companies should remain realistic and develop a strategy for optimal exposure. The more exposure the company has, the more chances they have to increase revenue. Consider Twitter as an inexpensive option to grow your brand. topics related to reading, writing, and learning. His favorite books are currently The Yellow Wallpaper and A Thousand Splendid Suns. Choosing an appealing background is in my opinion a good advice. It is important to look good. At the beginning this is what people see, the aspect of the page. And if they are impressed they will surely start reading the content. All these tips are very helpful. Those who want to build their brand on Twitter should listen to you. They will surely succeed this way. Choosing a Twitter background… not sure if I would put this up there. In my experience, most people check Twitter from their phones or mobile devices- and sometimes with a third party application. Do people still visit Twitter homepages? I agree with you. Twitter is really effective when it comes to building brand image. That’s why most of the companies update their Twitter account to inform their customers about their offers and other information.